This Saturday (which is also my birthday!!!) we are all going to a costume party. For over a week The Phi and I have been hitting costume stores trying to find something for her, me and PR Dad. Last night we hit two more stores and my right eye was twitching by the end of it all. We walked out with The Phi's costume. It was twice as much as I wanted to spend and it is in the fairy/princess theme. The kid has like 7 Disney princess dresses in her dress-up bag but still. After her unique and awesome of ideas of Cash Money Eyes and Woodstock she went with the generic fairy/princess path. Oh well, she is the one that has to wear it. At least she has a costume. PR Dad and I still don't. We are so freakin' indecisive and everything seems so generic. I cannot come up with any good ideas for us. For other people I can think of awesome costumes. Like my parents. 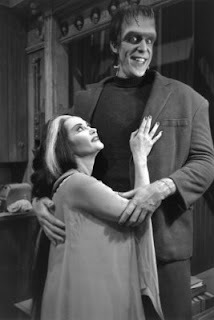 I always thought they would make a good Lily and Herman Munster Because the height difference is about right and Lily is always worrying and Herman is always laughing. My Brother-in-law Luis could be a clown. 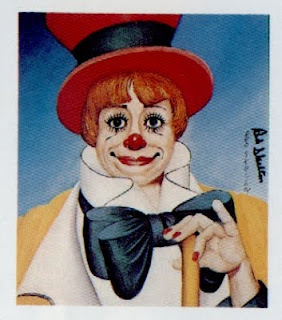 Because he has a lot of clown tattoos and it would scare the crap out of my sister Ouie. Because Ouie has the big lips and it would scare the crap out of Luis. Tia Uh-laine could be Cesar Milan. 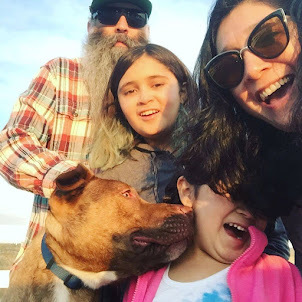 Because she totally loves dogs and has that big bright smile like Cesar. All totally great ideas, right? But for us we got nothing! 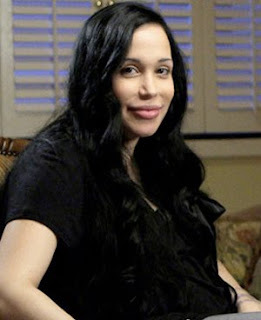 i like the octomom idea, but not the clown!